A few weeks ago I had received some discount and cash off coupons that Kohls so generously sent my way. I have a tendency to ignore these unless we have a need for something, and that particular week we had some things that we both needed. So off we went to see what we could find. Well, we found plenty, although we were both a little stunned at the cost of hose for me, and socks for him, and we won’t even talk about the cost of underwear. Basically, I was beginning to think they were being custom made in the back room, simply for our needs! Okay, a little transparency: I do not shop frequently, and when I do everything is on sale and I try to buy things in bulk so that I do not have to return anytime soon. Apparently I was away for far longer than I thought, at least for these type items. Well, we left with the basics, and obviously with no extra’s to stash away for when these items might need to be replaced, but we did leave with a $10 Kohl’s cash coupon. I personally do not enjoy this gimmick to get people to return and spend money, so much so, that I will give them to one of my daughters or someone else if they are in need of something at Kohl’s. In addition, I do not believe in credit cards, yet they can work if you only spend what you have available to spend. The only reason I have a Kohl’s card is for the discounts they send my way. Well, since that visit, I acquired various coupons along with that Kohls cash. For some reason Kohl’s decided to send me $10 for the Veteran’s day weekend through the mail and another one (different code) via email. Then another $10 because I willingly said “sure” I’ll be happy to get my bill via email”, and another one for the “yes2you” rewards program. Needless to say, I had $50 that I was having a difficult time saying “no” to. Mind you I was a little bummed that they were not offering any % discounts on top of all this savings, but one must not be greedy while being thankful for what one has. So tonight I returned to Kohl’s thinking that first I will get a few extra pair of hose, but wanted to check out the dresses and sweaters. I found one sweater dress that looked amazing on me, but even on sale, the “see through winter look” was not the fashion statement I was looking for, and certainly NOT for the $79 sale price. I know, I hear some of you ladies thinking, but it would only net out to $29!! Okay, sure, a great deal, but I struggled in knowing that this sweater dress was noticeably see through. In addition, I just paid off my Kohl’s card for that previous purchase and I had no intention of adding more to it. So, I browsed a bit, and finally selected a few classic sweaters and a fashionable cardigan. These will work well with dress pants, jeans, and skirts. Yes, I thought about the full wardrobe benefit before cashing in my FREE money. So three sweaters later, my husband and I walk to the register. The total rings up as $51.97 before the coupons. And yes, you math wizards have calculated my total correctly. I ended up putting $1.97 on my Kohl’s charge, and only because they insist that you use their credit card to utilize some of the discounts. Silly them!! Don’t you just love it when the cashier looks at the total dollars saved and announces that “you saved $102.03 on your order today”. They are so perky that I really hate to disappoint them. Seriously, I saved $50, NOT $102.03, because you see, I would never pay full price knowing that Kohl’s always has things on sale and many times for 40-50% off their regular price. My husband loves shopping with me, not because he enjoys waiting for me to decide what I will be buying for the lowest price possible, but rather to see how much I will not be spending. As we left this evening with my gleeful giggles, he chuckled and asked if I could find a way to save at BassPro and leave there spending no more than $5.00 for his wish list of a new tree stand, a new pistol for each of us and a rifle. Hmmm…guess I need to do some serious thinking there. So far I have not accumulated much on their reward card, so that could take awhile. Yet, if we win their huge sweepstakes they currently have going on, we could walk away with more than his wish list. Then again, I’m not sure I really want to win considering the tax implications. 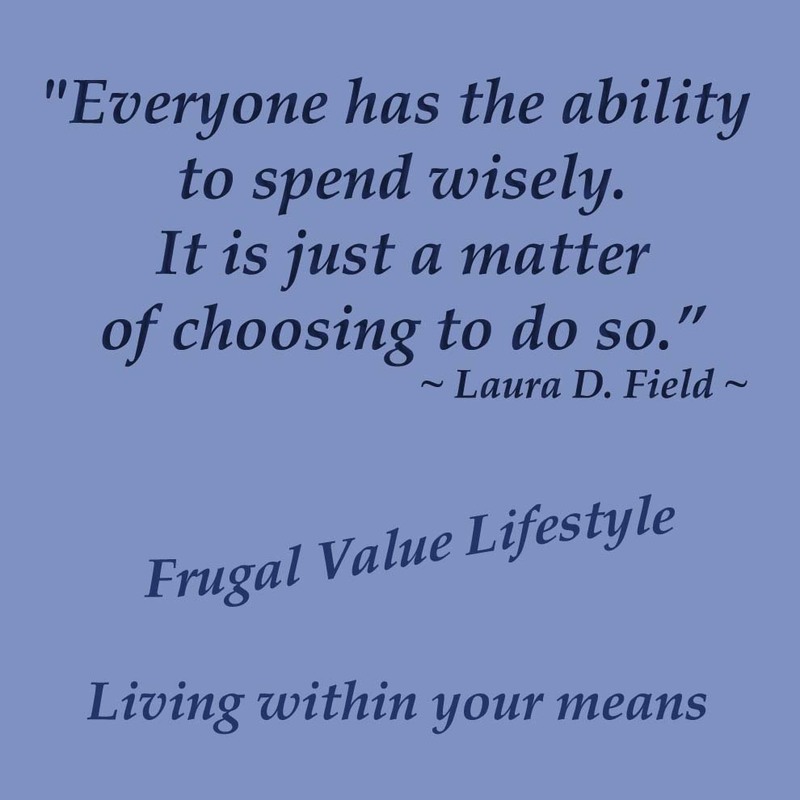 Being frugal is not about being cheap, but rather about using your resources wisely. Yesterday I made the introduction to shopping, asking whether you shopped for quality or for the bottom line price. With that in mind, I would like to further the topic to shopping for clothing. I personally love to find a great bargain, in reality, who doesn’t? But, I’m not talking about purchasing the lowest priced shoes on the market, but rather a higher quality item for a lower cost. So, I am going to be transparent and share a little of how I shop. In reference to shoes, clothing and undergarments. It is extremely rare that I will purchase them at Wal-Mart. No offence to those who purchase there. When our daughters were little, where they would grow out of the shoes within a few months, it was worth it. Yet, as our daughters got older, along with the needs for my husband and I, Wal-Mart is not the answer. The same applies for undergarments, jeans, shirts, dresses, etc. When purchasing these items, I look for support in the shoes as well as bra’s. Think about it this way, the $20+ dollars you save could affect your overall health. A poor arch support is bad for your posture. I had to invest in expensive insoles because most shoes today, even the expensive ones, do not have the support our feet need. Fortunately the cost has covered itself for how long that I have had them. It is time for me to replace them, but I currently need to wait until the resources are saved. And, if you work for a hospital or health care facility, ask the store if they provide you a discount. Some provide this, as they know that you are always on your feet tending to the many patients you see throughout the day. Poor bra support is not only bad for your posture but also affecting the muscles in your chest, resulting in saggy breasts. Personally, at the young age of 52, I really enjoy the fact that although not as perky as they once were before breast-feeding they are healthy and holding their own. Why? Because I choose to exercise as well as wear supportive bra’s that do not pull up in the back causing the breasts to sag, from either a poor fit or poor construction. This, unfortunately comes at a cost, yet does not need to break the bank as they can be found on sale. So it is never necessary to purchase full price if you can time your shopping. So, how do I purchase my shoes, underwear, socks & bra’s on a limited budget? Underwear and socks are an essential product we all need, yet why would someone who has limited resources choose to pay more money for thick hiking socks, sport socks and dress socks that are worn daily? Maybe it is because of my seamstress background, but I know quality fabric when I see it and feel it. I immediately make a decision to either accept or reject. Socks wear out, and they wear out quickly. Yet, the cheap and inexpensive ones develop air conditioning sooner than I wish to return to the store for replacements. I have had a few wear out after a couple wearings, which really annoyed me, as it felt as if I flushed the cash down the toilet. Although I do not like the pricing of the better quality socks, one can generally find them on sale, which is generally the time in which I replace them if needed. I have socks that were purchased over 4 years ago. In reality I have saved money because I have not had to replace them so frequently. Bra’s are a personal choice ladies. For the small chested women, who do not need support, they can generally get away with the bra’s that do not have the same lift and support features. It goes for the sport bras as well. A good supportive sport bra will cost more, but will keep you in place during your workout, without pain, and look much more attractive for a long time. Again, choose these garments for support and longevity, not because you can get three for $15. And, you do not have to purchase the highest priced item. There is always a price break between quality and price. And, if you are able to watch sales, know what stores carry the brands you like and when they have sales, you have the opportunity of obtaining a product you will enjoy wearing at a price you are comfortable paying. How do I shop for clothing in general, supplying my husband with shirts and jeans for work, clothes for myself, etc.?? First, when we have the resources and our bills are paid with the savings growing a little, meaning I have available money to spend, I will step out and check out the stores to see what they have for sale. And, I always check out the clearance aisles for classics that never go out of style, even if out of season. For my husband I have found $50 jeans in his size for $10-$15, in which I purchase 4-6 pair at once. I have purchased some beautiful $30-$50 button down shirts he enjoys wearing off-season for less than $10. I also purchase long-sleeved shirts and shorten them to short sleeve as this is his preferred way to wear them. Clothing for my husband is not generally purchased to wear “now”, although he does select a few so that he can have something “new” to wear right away. But, during times where the resources are extremely limited, he has new jeans, shirts, socks, etc., available to update and replace his worn out clothing without it affecting our current situation. Plus, I always love that he looks nice no matter what our financial situation might be at the time. This same philosophy applies to shopping for myself as well as my daughters when they are/were home. There is nothing more rewarding than finding items we need at a fraction of the price. We generally purchase staple items that are classics, with the occasional item to spruce up our wardrobe. And, if while we are out shopping, we see something that catches our eye with a price tag that says “think about it” we will try it on to see if it works, and decide if it will go with other pieces within our wardrobe. Winter coats and other winter wear. My favorite of all savings was when I purchased two Kenneth Cole Wool Winter coats for less than $75!! Yes, you read that right! These coats had a joint SRP of $500.00!! Talk about a savings!! The best part was that I was in need of a new winter coat, and I was able to purchase a short coat and mid-length coat together within my $100 budget. The fun part is that I continue to get compliments on them, even three years later. And, I love wearing them!! Kenneth Cole makes exquisite clothing, so I am humbled to have found such a savings. It was all about the right time, at the right place. The benefit of having sewing skills is that I can mend what we wear without having to pay someone else to do the work, or toss and replace otherwise good clothing that still has some life left. In addition, I am able to create from fabrics I purchase on sale, using materials to create something others will not have. Please understand, there are times when paying full-price works and is rewarding. 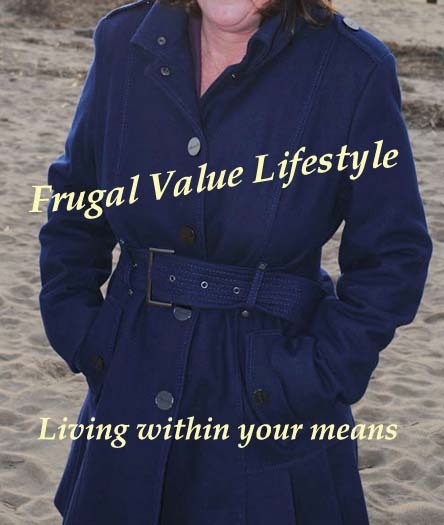 But, for me, it happens when I am free to do so, with no worry about bills and a savings account that has some reserve. And usually it is for something I might have been searching for quite some time. In addition, when we find we are tired of an item that is in good condition, we take them to Salvation Army or other charitable organization where we are able to obtain a receipt for our donation. We use this towards a tax write-off at the end of the year. Some years it is worth it, and other times no so much. But, for the amount of time it takes to list things out, it is worth having the document on hand at year-end for tax preparation, and rewarding that we can pass along to others what we no longer have use for. Regardless of what your clothing need is, sometimes it is a wise idea to shop in your closet before heading out. And ask yourself, what you actually need and what colors and styles would compliment what you already have on hand. Be wise with what you are blessed with. Think twice before you spend your hard-earned resources on what you really need.